Recently, a lovely coordinator from dogvacay.com reached out to us asking us to simply share more information about lovable Logan; so, for all dogvacay.com fans and lovable chocolate Labrador retriever fans, below is a bit more about our pal Logan. 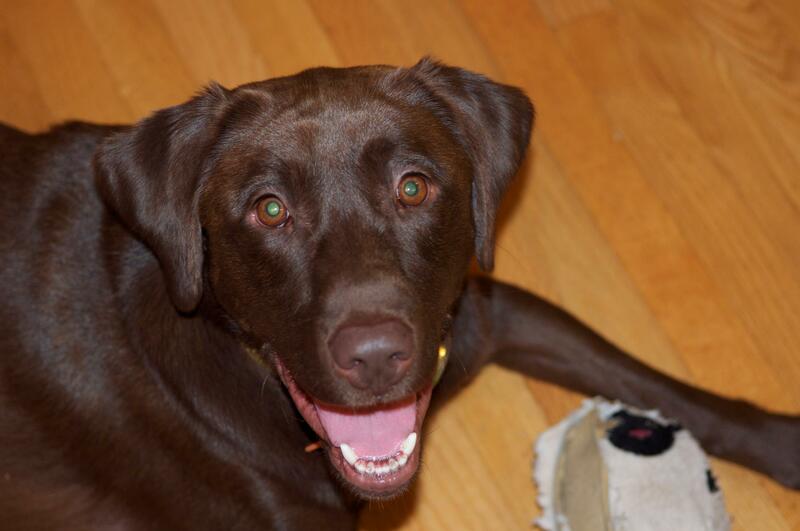 Logan the chocolate Labrador Retriever, all smiles. 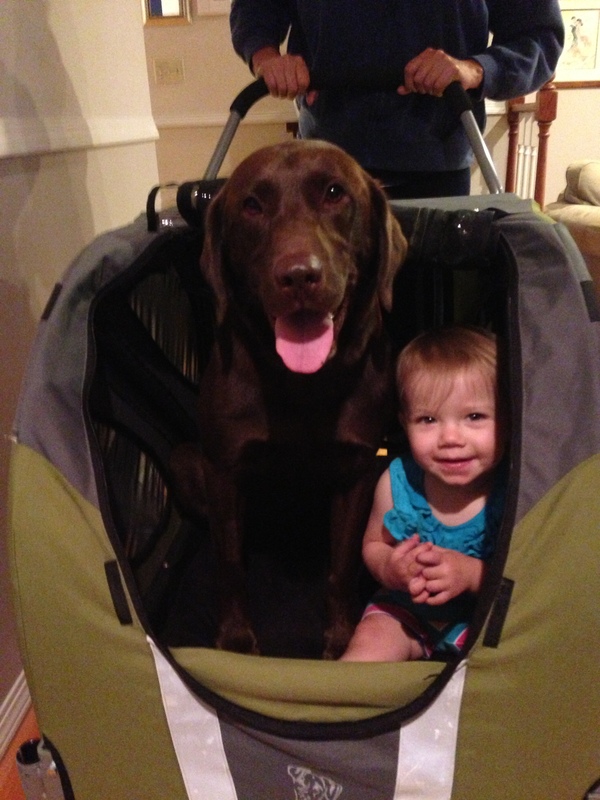 Lovable Logan is a 3-year old chocolate lab who lives with his family in Carnation, WA, in the eastern suburbs of Seattle. He lives with his human mom, human dad, and human baby sister. Oh they adventures they all have together! One of Logan’s favorite activities is an exciting game of ChuckIt! with his pals. More recently, Logan was also working on becoming a certified search and rescue dog, but unfortunately, he had to stop the training process due to his heart condition. Now to not tired out too quickly, Logan enjoys rides in his DoggyRide Novel jogger-stroller, allowing him to still be outdoors and enjoy many adventures, yet be able to take a rest when needed. Other times, he enjoys heading out to doggy events in and our Seattle with his family. 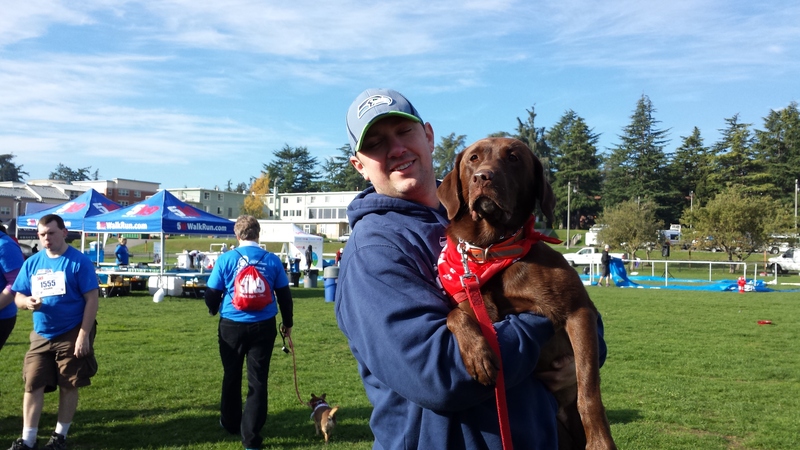 He had a wonderful time with team DoggyRide at the Petco 5K9 Run/Walk at Seattle’s Magnuson Park in early October. A boy and his dog. Logan the chocolate lab is all smiles at the Petco 5K9 walk at Magnuson Park in Seattle. 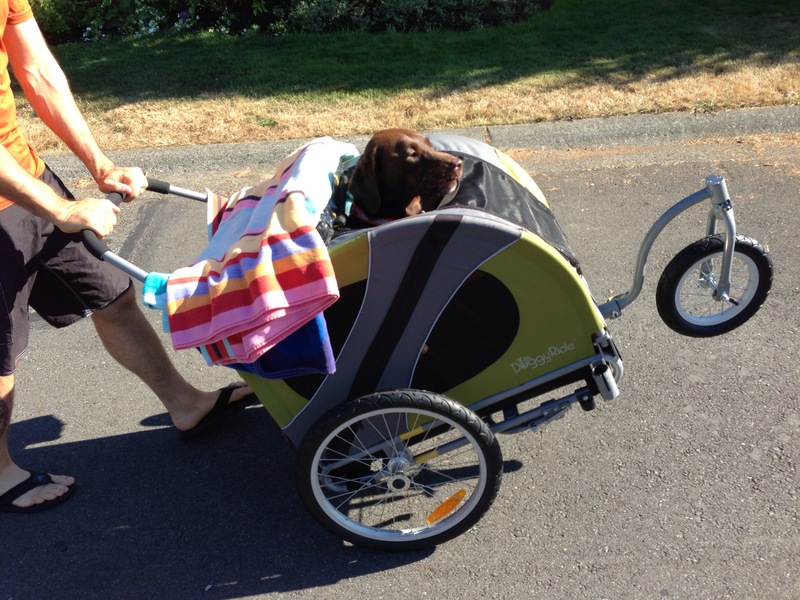 If looking for a qualified pet sitter in eastern King County, in and around Carnation, click the following link to check out dog sitters near Carnation, WA courtesy of dogvacay.com.